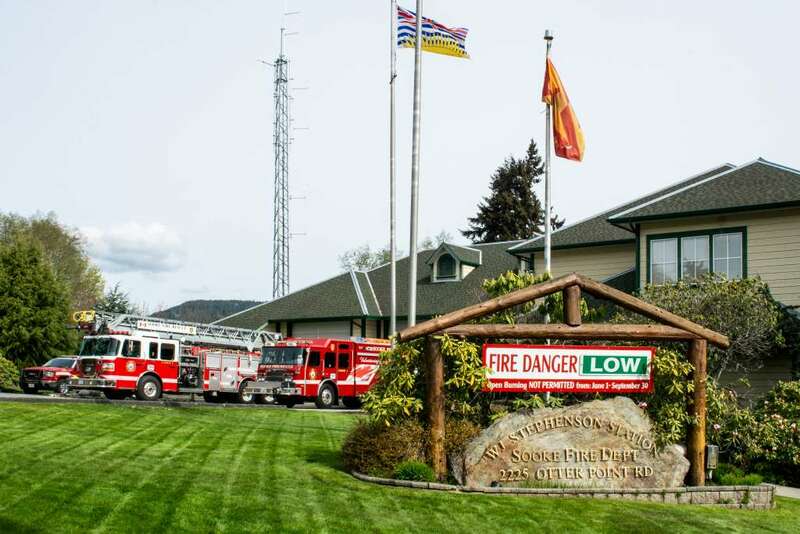 The District of Sooke takes great pride in the professionalism and quality service provided by all of our fire department staff and volunteers. Sooke Fire Rescue Service effectively and efficiently responds to and mitigates emergencies involving the rescue of persons, incidents of fire, unplanned releases of dangerous goods, and pre-hospital emergency medical incidents. The department strives to provide community-based, customer-focused service to create a safe and comfortable environment for the residents of Sooke. We protect the District’s tax base and support economic development through extensive inspection, prevention, and enforcement programs. As well, education programs are aimed at eliminating fire and safety hazards in the home and workplace. Members of the Sooke Fire Rescue Service pride themselves on providing a very progressive service to residents in Sooke and the surrounding areas. From its humble beginnings in the early 1900’s, the old Sooke Harbour Fire Department has evolved into a modern full-service emergency services organization. Beginning with a hand drawn hose reel stored in an old shed, the fire department now operates from two well-equipped fire stations. 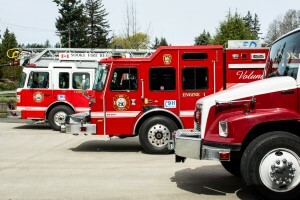 The dedicated men and women of the Sooke Fire Rescue Services are prepared to answer the alarm at any time – day or night. Supported by five career members, the mostly volunteer organization comprises of 36 active members in two divisions. 30 members are assigned to suppression duties while the remaining six volunteers are in the Fire Prevention Division as public safety educators. Utilizing seven pieces of the latest in fire apparatus design and technology, along with a variety of support vehicles and equipment trailers, there is no call too large or small for us to handle. Protecting approximately 11,500 people spread over an area of 65 square kilometers means this department handles over 700 emergency incidents and 1000 non-emergency requests for service each year. To handle all of these emergencies requires the members of the fire department to constantly train and update their skills. While many of our firefighters have been around for several years and are very knowledgeable in their skills and abilities, there is always a need for new blood in the organization as people move away, get hired by career fire departments or simply retire to enjoy a quiet life style. 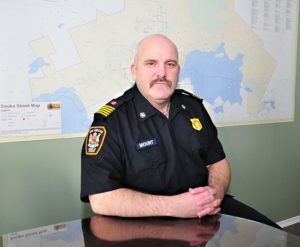 With growth and development in the community, recruitment and retention of volunteer firefighters will continue to be a challenge for the District of Sooke. Perhaps now is the time that you can fulfill that wish to help your community and neighbors. Call today and learn what it takes to become a volunteer firefighter.